Flashback to 1988. A group of brilliantly talented young vocal artists releases a collection of swinging, harmony-rich gospel songs performed entirely a cappella. From that moment on, the world of music is forever changed. With the advent of Take 6, the synthesis of gospel, jazz, doo-wop and R&B reaches its zenith. Nobody could top Take 6... except for Take 6 themselves. Although the group's musical growth has consistently amazed fans worldwide over the course of five gold and platinum-selling albums, their sixth album, So Cool, achieves new heights by stretching the boundaries of contemporary music. Ten years after their recording debut, Take 6 has come home to a cappella. After scores of awards and honors, the members of Take 6-Alvin Chea, Cedric Dent, Joey Kibble, Mark Kibble, Claude McKnight and David Thomas-have once again combined their voices with spectacular results. "We realized this is what we're best at, and this is where we have the most fun," David says. Add Alvin, "Singing a cappella is a wonderfully intimate form of music, and we knew we had not yet explored all of its possibilities. We decided to go back down that road to see what more we could do." That road turned out to be the scenic route. So Cool was produced and written by the members of Take 6 with the help of some top-notch collaborators. The album offers an eclectic tableau, featuring elements of swing, cool jazz, pop and even South African chorale, but most importantly, an abiding faith in God runs throughout the ever-astonishing rhythms and harmonies of Take 6. 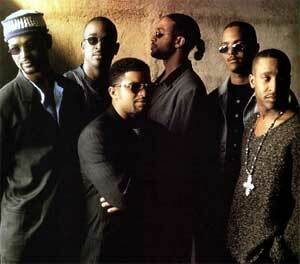 Though So Cool marks the 10th anniversary of the group's recording debut, Take 6 actually began much earlier. Long before they had amassed multiple Grammy and Dove Awards and other prestigious honors, the group got its start as an ad hoc vocal quartet led by Buffalo-native Claude McKnight at Oakwood College in Huntsville, Ala., in 1980. After a few years of personal and professional growth, Take 6-now a sextet-was signed to Warner/Reprise Nashville, comprised of the current lineup, with the exception of original member Mervyn Warren (later replaced by Joey Kibble). Their 1988 self-titled debut rocked the music world. Few groups had so pushed the envelope of vocal harmony with such breadth, style and humor. Their grounding in gospel music created a firestorm in some corners, with a few critics in the secular world finding it hard to accept that a group so spectacular would "limit" itself to gospel. But that has never been a problem for Take 6. "Plenty of people do other kinds of music," says Chea. "Our calling, and the reason we're still together, is to worship and praise God. It's never been a debate for us."